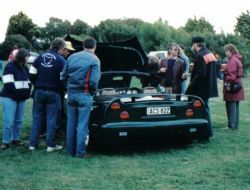 With a background in fuel injection and automotive electronics extending back over 20 years, it’s little wonder that Steve Cox saw the opportunity back in 1999 to set up Quick Fit Motorsport Pty Ltd. The big change in cars during the last couple of decades has been in the field of electronics. In the main the days of adjusting the points and setting the needles and jets are gone. Now instead of a mechanic, we have an automotive technician who’s “toolbox” contains a laptop, and various other electronic gizmos, which are plugged into your car. When Steve established Quick Fit Motorsport he wanted the best of both worlds. Not only did he set out to enlist technicians with a passion for specialised vehicles, but he also wanted to care for his customers. Steve was adamant that Quick Fit Motorsport be seen to help his customers and to take a keen interest in whatever project they may be involved with. Located in the northern Sydney suburb of Hornsby Quick Fit Motorsport offers the full range of automotive services starting off from a simple service, engine rebuilding and right through to the most complicated of modification or conversion. Understandably, with a comprehensive understanding of modern fuel injection systems, the efficiency of your engine is especially cared for. In fact detail tuning of Weber carburettors is one area of Steve’s expertise, and advice with anything to do with your car’s engine is available. 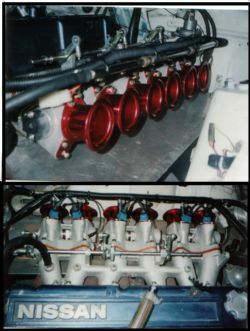 Quick Fit Motorsport are specialists in engine modifications as well as engine changes. Most of us know that any changes and even modifications are strictly governed by various federal and state laws and it’s vital that we stay within these laws if we wish to enjoy our cars. Of course Quick Fit Motorsport is fully conversant with these laws and what can and can’t be done. This applies to all modern cars but especially to the many kit cars available on the Australian market. In fact it is often overlooked that while an enthusiast may be building a car that looks like a Ford GT40 from the mid 1960s, in the eyes of the law it is a modern car and must comply with modern road rules. Quick Fit Motorsport has been instrumental in achieving compliance to get a modified car through registration when all else has failed. The team at Quick Fit Motorsport is more than pleased to assist in the building of kit cars, from the smallest part to the complete build to turnkey stage. They are also mindful of the various budgets of enthusiasts and are happy to provide advice, prepare various components for owner assembly or to have a car in his workshop for a job or two. Quick Fit Motorsport will assist a fellow enthusiast by inspecting a vehicle that is in the process of building or modification and provide the owner with a comprehensive listing of what has to be undertaken and provide guidance as to a likely cost. It cannot be over emphasised the importance of fitting the correct and most efficient exhaust system to the modified engine. The job of the exhaust system is far more than just getting rid of the exhaust gases. Quick Fit Motorsport are conversant in the mathematics of designing the most efficient and correct exhaust system for the engine and car, turbocharged or otherwise. In addition to the engine, Quick Fit Motorsport technicians are also expert in the setting up of suspensions, steering systems and brakes that includes strengthening, handling dynamics, making sure that the geometry is best for driving on the road and upgrading to match your car’s new performance. Anyone who has driven a car that has not been set up correctly will understand how important all this is. This brings us back to the world of automotive electronics and the role it plays in the cars of today. An engine change is a lot more than “out with the old and in with the new”. Not only is there the exhaust to consider, but there is also the fuel system and the electronics that operates the fuel injection. 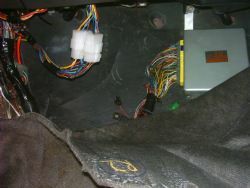 These are connected by the car’s electronic systems. 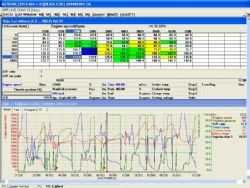 Quick Fit Motorsport are experts when it comes to engine management systems and are agents for the Autronic brand. They are more than qualified to alter the car’s wiring system to ensure that the electronics works perfectly so that you car performs exactly the way you want it to. With an engine conversion your wiring loom can even be modified without the car … you can send it to Quick Fit Motorsport and they will return it ready to plug in and go.